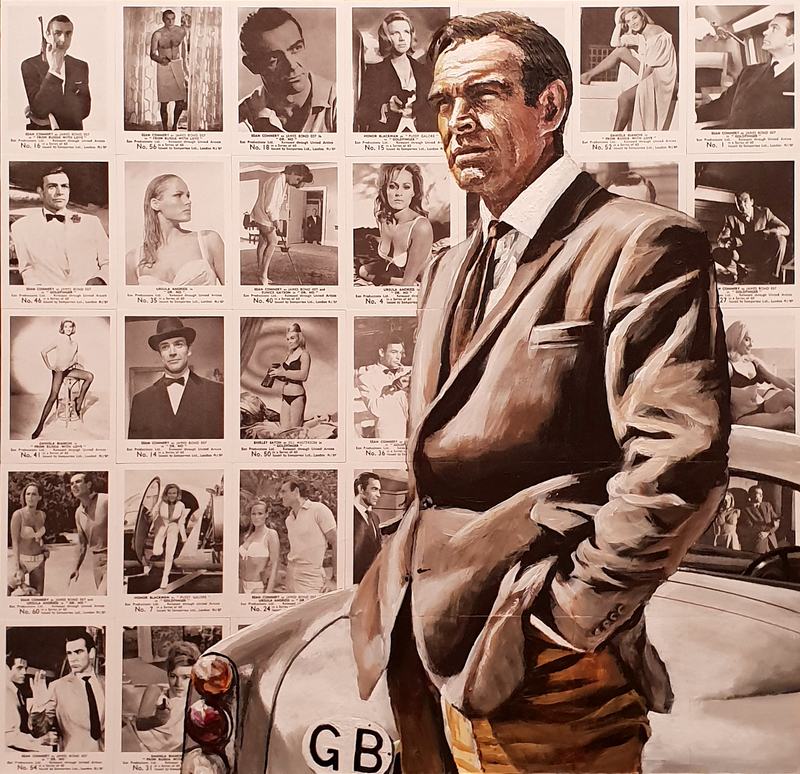 This original painting of Sean Connery with the Aston Martin DB5 has been painted directly on to Somportex Bubblegum trading cards that were printed to promote the first three Bond films in the 1960s. The cards feature a mixture of scenes and studio shots of 007 and the Bond girls. I painted a Bond on these cards earlier in the year which sold very quickly at my Spring Show so I decided to revisit the concept with this one. The painting measures approx 40cm x 40cm and is acrylic on board.